The numbers are huge, its longevity eternal, the influence the Super Cub has enjoyed over worldwide transport became all too obvious when Honda announced in 2014 it had manufactured its 300 millionth motorcycle; 64 years since their first ‘Dream’ took to Japan’s post-war roads. One third of that total were Cubs, enough for every man, women and child currently in the UK and Canada to have one! 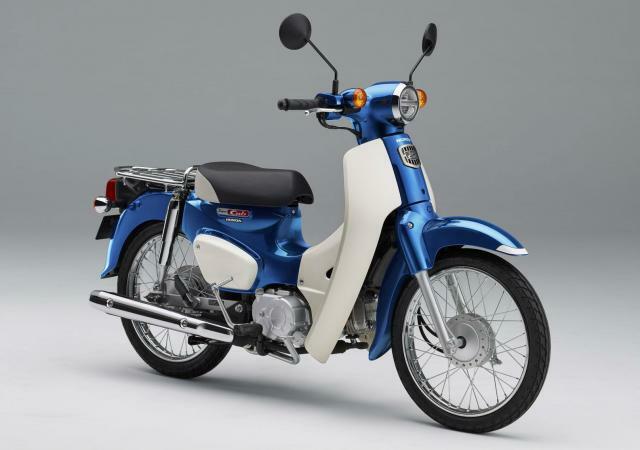 What many don’t realise is The Honda Motor Company was formed and began supplying customers almost a decade prior to the initial C100 Super Cub leaving the line at Yamamoto plant in late 1958. 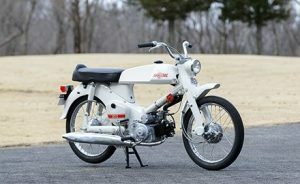 The Super Cub was born out of a need to move away from bicycle based two strokes and that is where the story really begins. Soichiro Honda had opened a successful car repair shop and also began to manufacture piston rings prior to WW2; when the conflict ceased much of Japan was destroyed including his works. He sold the piston ring business to Toyota and took a year out, which lasted until October 1946 when Honda acquired an 18 x 12 shack on a levelled bomb site in Hamamatsu. Transport issues befell the Japanese population, over crowded with little infrastructure remaining, the cheap movement of people and goods seemed an impossibility. Honda turned to bikes and the purchase of 500 surplus petrol motors, previously used by the military as generators; these would be attached to bicycles by the handful of staff at the company he named The Honda Technical Research Institute. With a severe shortage of petrol, Honda was forced to purchase fuel on the ‘black market’ to which he added a turpentine mix gleaned from the roots of forest pine trees; this mixture was then sold on to his customers. The resultant cocktail belched thick acrid smoke, but even so the 500 engines began to run out very quickly; Honda’s machines proved popular. 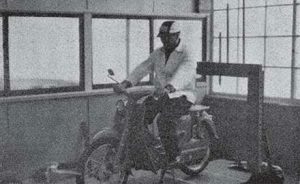 Developing his own engine based on the army surplus units, Honda produced ‘The Chimney’ as it became known, obviously another two-stroke and of 50cc capacity which offered 0.5bhp. It was named the Type A and sold in large numbers which encouraged Honda to develop a 90cc B Type in 1948. This would be coupled to his own frame and marketed through the newly formed Honda Motor Company. 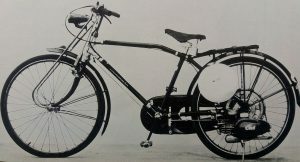 Completed the following year the new 2 speed 3bhp bicycle was a revelation, even though it emitted power station levels of smoke courtesy of its total burning engine; the new bike was named the ‘Dream’. 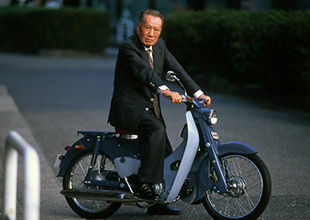 Takeo Fujisawa joined the company and it was his dislike of 2-strokes and logical persuasion that eventually forced Honda to design a 146cc single cylinder four-stroke unit that attached to his own designed bike. A dealer network was set up and to supply them another manufacturing plant was opened for the all new F Type – Cub. 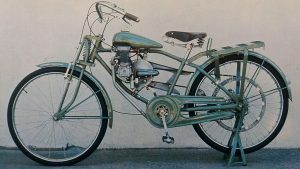 Initially, the Cub was little more than a 50cc ‘clip on’ motor and even though Honda had reverted to 2-stroke, the new Cub’s were selling at 6,500 units per month in 1953. Honda and Fujisawa visited the Ford factories in the USA and viewed the Isle of Man TT racers considering future development of their race programme. It was at this stage the company looked to develop a cheap, reliable and clean running ‘Scooterette’ the result became the C100 Super Cub announced in June 1958. Returning from Europe in 1956, the team listed their requirements for this new design that would feature a frame with lower central tubing to accommodate both women and men; this would also ensure control, especially on the roads of Japan which were still in terrible condition. ‘Even a noodle shop’s delivery boy could ride’ was the quote Honda used to explain how easy this new bike should be to manoeuvre, with increased low stability whilst only semi-enclosing the horizontal layout of a 50cc ohv 4-stroke single. This new power plant should offer 4bhp from 50cc Mr Honda insisted, quite a challenge considering up until that point 1bhp had been the average. Considering air-cooling was certainly the best option, the engine development team thrilled management when they were not only able to maintain temperatures but also offer 4.5bhp and 9500rpm from this tiny unit. Those working on the transmission would eliminate the need for a clutch lever by fitting an automatic centrifugal unit allowing for easier shifts from their three-speed gearbox. A combination of eight separate designs finally brought forward a system that could deal with kick starting and drive disengagement plus the synchronisation of clutch and gear change either up or down. There is little doubt the 17 inch wheels fitted to the Super Cub complimented every other aspect of the design, especially the ride; the height of the average Japanese citizen was also considered when taking this decision. 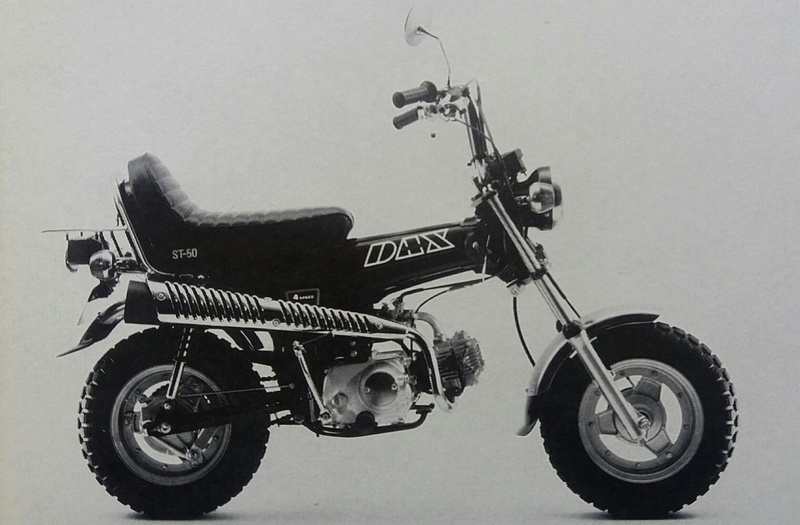 Combined with 17 x 2.25 tyres the Super Cub enjoyed a unique and compact look but this idea was further complicated as 17 inch tyres were not readily available in Japan, so Honda made their own. 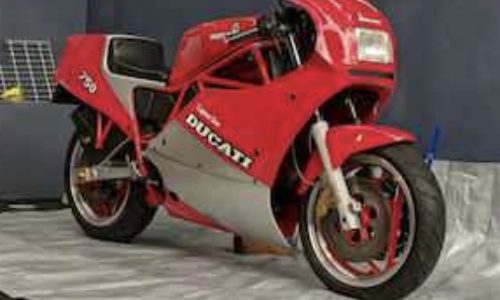 Also bespoke for the time were the light weight polyethylene leg and mud guard, their size and shape was altered several times during the design stage as Honda himself wasn’t impressed with their look on a clay model. The familiar red/white or blue/white finish most Cubs were produced in wasn’t chosen at random or due to budget restraints. This gentle colour combination complimented the soft texture of the plastic parts and would prove popular with the Japanese being colours that reflect sea and sky; the designers considered these market choices for that era and they have lasted for decades. Just before New Year 1957 the final details were decided upon and the ‘mock-up’ machine adjusted accordingly. The Super Cub name was agreed and Managing Director Fujisawa predicted sales of 30k per month, an extraordinary amount at the time but far less than would hit the streets worldwide. 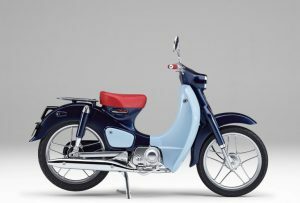 Although the Super Cub was announced in August 1958, the first chassis did not leave the showrooms for a further 12 months. 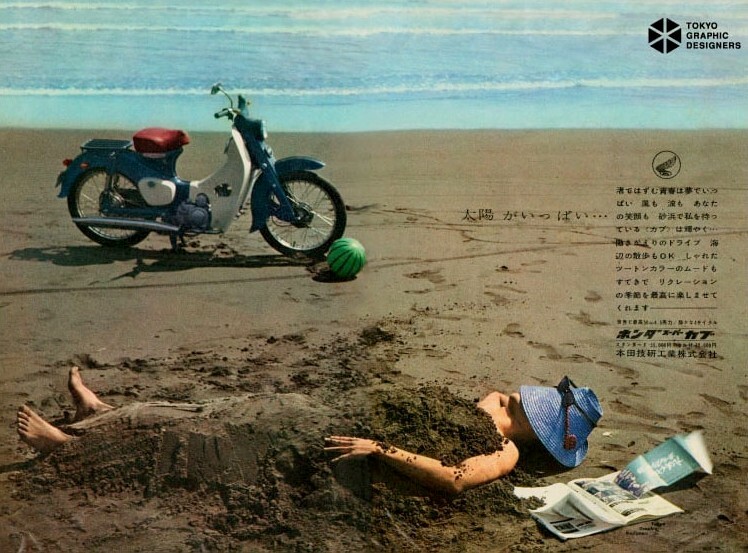 Another ground-breaking move was to advertise the Super Cub in women’s magazines, something untried before but Honda did it in style with great photography in a series of double page spreads. The ads created as much interest as the Cub itself and the campaign proved a massive hit. Women both young and old, wealthy or not, saw the opportunity and took it; this machine was perfect for Japanese women at a time when they wanted more freedom. Visiting a male dominated dealership could certainly be ‘off putting’ for the new lady rider, so Honda supplied all their outlets with special aprons for female staff members to take over the conversation from the grimy man-folk. Stateside the task was more daunting, the population associated two wheels with ‘The Wild One’ film and gangs. Honda America was set up in 1959 and the following year they began selling larger bikes but in limited numbers. 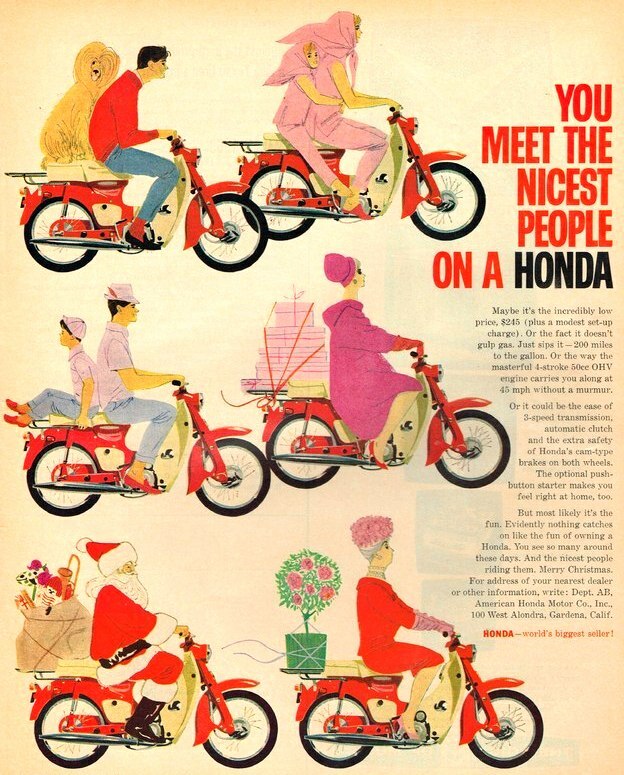 In 61 they put 150 dealers into place and advertised heavily, but it was two years later things really took off with the marketing around the slogan ‘You meet the nicest people on a Honda’. It seems Honda America was forced to fill their new dealerships with 50cc models after several recalls had resulted in a ‘buy back’ situation for many of their bigger bikes. 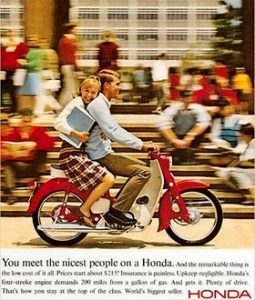 At year end 100k units had been sold and the following year a third of American motorcycle sales belonged to Honda; mostly due to the Super Cub with the clever Grey Advertising campaign. It seemed no time before alternate versions were offered to the American buyers in the form of customizing kits including in 1963 the Roadster and Student models. The Hunter Cub proved popular with those enjoying the great outdoors and the very pretty C102 Rally from 1967 offered a racing stance. 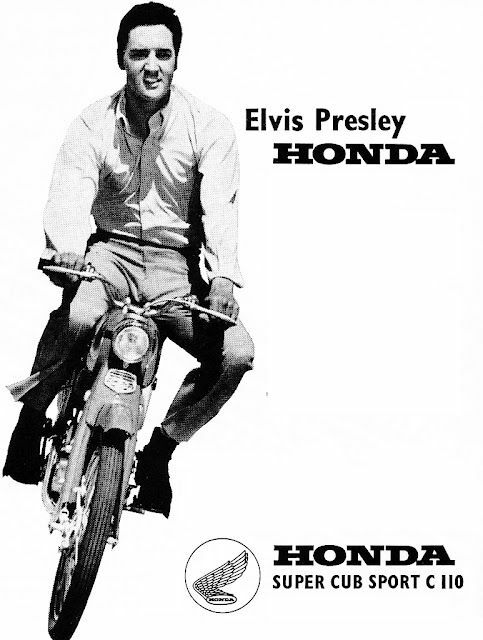 The Yanks loved the Super Cub, especially in the West, and the campaign provided a launch pad for Honda to succeed in the US. Is the Rest Just History? Well no, because history is still being written with the Super Cub Concept for the near future announced in 2017 and the continued showroom interest for the current version. Will future models enjoy the longevity and popularity of the previous models? Almost certainly. In parts of Asia the moped is still number one in the transport league and the champion has always been the Super Cub. 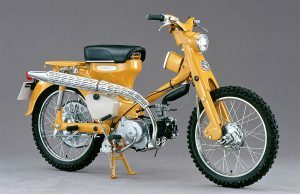 What the Super Cub offered, was and still is a realistic compromise, never pretending to be something it isn’t. Where it failed in styling, it over-achieved in reliability and what it lacked in performance, it compensated for with ultralow running costs. Endless images of restorations and modified original Cubs can be found on far eastern web-sites, this trend hit western shores with a bang some years ago and further underlines the durability of the design. With modern technology still unable to plug the financial gap between the combustion engine and a host of alternates, one Honda that solved the problem sixty years ago is still doing the same today. 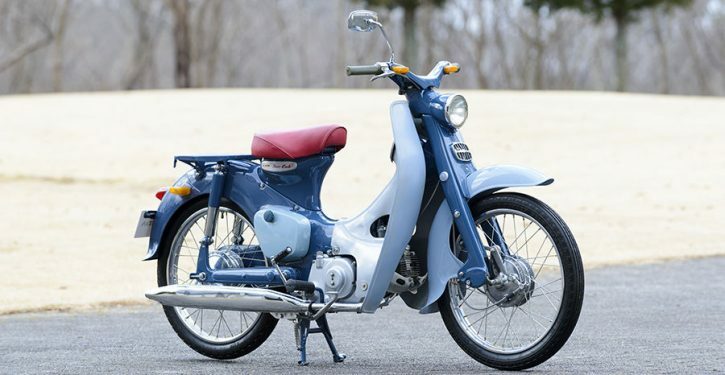 In 1960, just two years after the Super Cub left dealers forecourts in great numbers, Managing Director Fujisawa’s enthusiast prediction of 30k units per month looked hopeless compared with actual average 47k per month being sold. Writer Dara O Foghlu commented in 2015 that in the 16th Century ‘Nostradamus’ had predicted the popularity of the Honda Super Cub; this I found hard to believe until the four lines from Century X, Quatrain 43 are analysed. ‘The year 1958, the young bear will emerge from the rising sun’…. 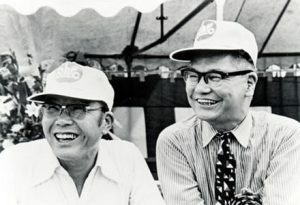 Young bear Soichiro Honda from the Land of the Rising Sun, so far it could be. 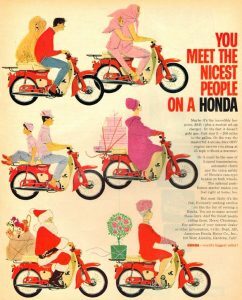 ‘The gentle people will straddle his back’…The global influence of the Ad campaign ‘You meet the nicest people on a Honda’ took the motorcycle into the lives of Americans who preferred baseball to biker gangs. 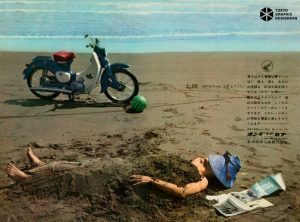 ‘and the young men from the shore will sing highly of his merits’… and they did, the (young men from the shore) Beach Boys sung very highly (pitched) of the Super Cub with their tune ‘Little Honda’….Co-incidence or prediction? The Beach Boys Mike Wilson and Mike Love wrote the song ‘Little Honda’ including the verse which contains the phrase ‘more fun than a barrel of monkeys’ whilst the chorus is just ‘Faster Faster’ in typical Beach Boys style; released for US consumption in 1964 and once heard the tune sticks in your head all day! The same song reached the Top 10 Stateside when it was covered by the band the ‘Hondells’ who went on to produce three albums with backing from musicians such as Glen Campbell and drummer Hal Blaine later of the Wrecking Crew. There first album also named Little Honda included songs with titles such as ‘A Guy Without Wheels’ and ‘Hon-Da Beach Party’. The average car price in 60s America was $2700 and one weeks rent around $50, consequently the market for the Cub concentrated on students, middle income workers and primarily for local use. 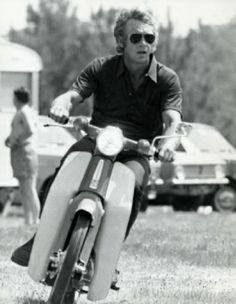 At $245.00 the payments were affordable for all groups targeted, having become so popular the Super Cub sold across all financial groups. 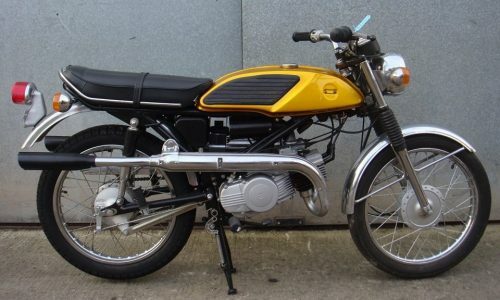 Current owner (C70) James May pointed out in an article ‘The Greatest Ever Machine’ the Super Cub was so cleverly geared it could cruise at 40mph, remain in second all day long in urban areas and climb Mount Fuji in first…even with a fridge strapped to its back. The Honda Collection Hall offer a chance to ride on one of the original C100 Super Cubs from 1959. 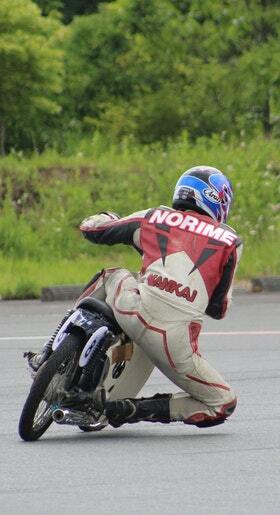 Suzuki 1969 T90 Wolf that’s never been started!